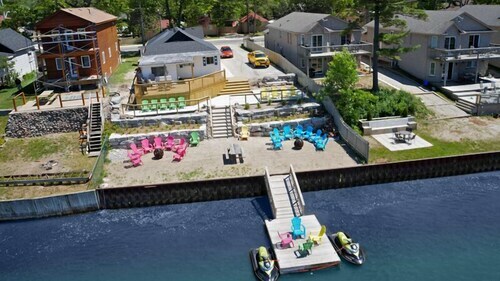 Situated near the beach, this hotel is 0.6 mi (0.9 km) from Wasaga Beach Nordic Centre and within 3 mi (5 km) of Wasaga Beach Provincial Park and Wasaga 500 Go Karts. Blue Mountain Go-Karts and Elmvale Jungle Zoo are also within 12 mi (20 km). 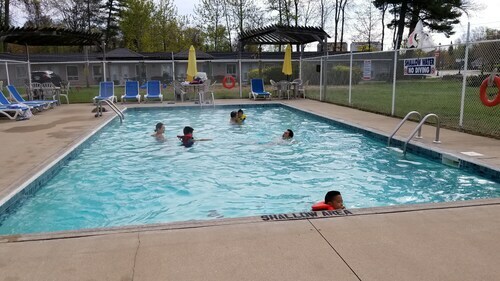 Situated near the beach, this motel is 0.1 mi (0.1 km) from Skull Island Adventure Golf and 1.7 mi (2.8 km) from Wasaga Beach Provincial Park. Nancy Island Historic Site and Wasaga Beach Nordic Centre are also within 15 minutes. 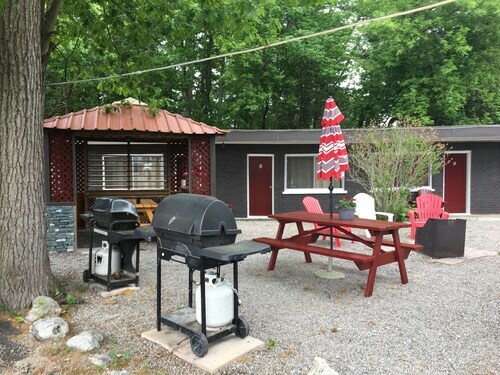 Situated in Wasaga Beach, this golf motel is 0.1 mi (0.1 km) from Skull Island Adventure Golf and 1.7 mi (2.7 km) from Wasaga Beach Provincial Park. Nancy Island Historic Site and Wasaga Beach Nordic Centre are also within 15 minutes. Situated on a river, this cottage is 0.1 mi (0.1 km) from Skull Island Adventure Golf and 1.6 mi (2.6 km) from Wasaga Beach Provincial Park. Nancy Island Historic Site and Wasaga Beach Nordic Centre are also within 15 minutes. 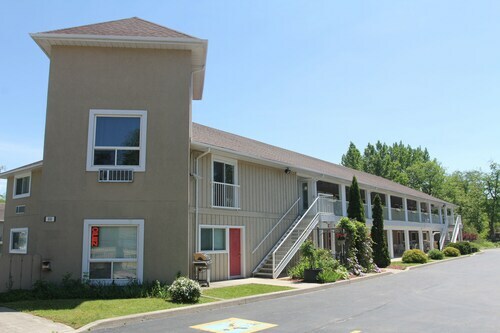 Situated in Wasaga Beach, this motel is 0.1 mi (0.2 km) from Skull Island Adventure Golf and 1.8 mi (2.8 km) from Wasaga Beach Provincial Park. Nancy Island Historic Site and Wasaga Beach Nordic Centre are also within 15 minutes. 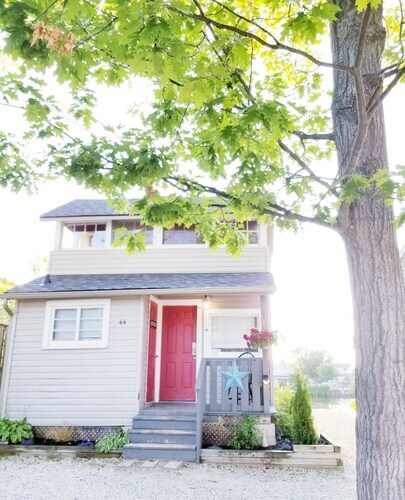 Situated in Wasaga Beach, this cottage is 0.2 mi (0.3 km) from Skull Island Adventure Golf and 1.9 mi (3 km) from Wasaga Beach Provincial Park. Nancy Island Historic Site and Wasaga Beach Nordic Centre are also within 15 minutes. 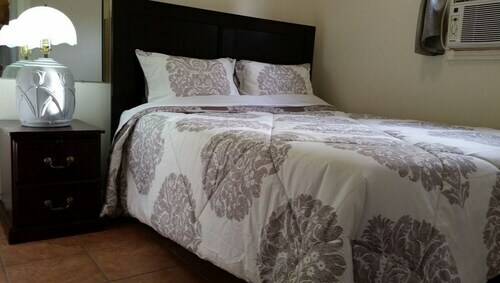 Located in the heart of Wasaga Beach, this vacation home is 0.1 mi (0.2 km) from Skull Island Adventure Golf and 1.6 mi (2.6 km) from Wasaga Beach Provincial Park. Wasaga Beach Nordic Centre and Nancy Island Historic Site are also within 15 minutes. 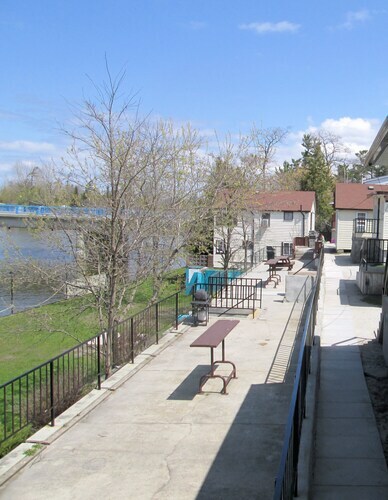 Located in the heart of Wasaga Beach, this historic resort is 0.1 mi (0.2 km) from Skull Island Adventure Golf and 1.6 mi (2.6 km) from Wasaga Beach Provincial Park. Nancy Island Historic Site and Wasaga Beach Nordic Centre are also within 10 minutes.